This week I made the trip to Washington D.C. to join over a thousand pregnancy center workers for a conference with Care Net aimed at bettering our work across this country. This week we will worship, network, learn, and celebrate as we reflect on the past and look forward to the future of the life movement. There are currently between 2,500 and 3,000 pregnancy centers in this country seeking to stand for the most vulnerable in our society. It may sound like a cliché, but this standing is giving voice to the voiceless and serving an often forgotten demographic. We do not apologize for this work and we refuse to allow our focus to be shifted from the clear mission we set out to accomplish when our doors opened. A mission that desires to see abortion as an unthinkable reality in a civilized society. Some have attempted to silence pregnancy centers with legislation, hashtag advocacy, and slanderous news stories. We have been called extremists and labeled women haters as our detractors seek to malign our work as they see their narrative and support fading. Attacking us personally and calling our motives into question may sound like a winning message to some, but the reality is much different as their message is falling on deaf ears. The tide has shifted as society now has a better understanding of the damage abortion has done to a generation. We knew this day would come. The pregnancy center movement believed before, during, and after Roe v. Wade that life is precious and deserves to be celebrated. The leaders of our movement understood that women would need a place to go when they found themselves in unplanned circumstances. Our leaders chose 40 years ago to remove obstacles and to stand with moms and babies by providing free care for those in need. Our movement has grown during this time and continues to impact cities all over this country. 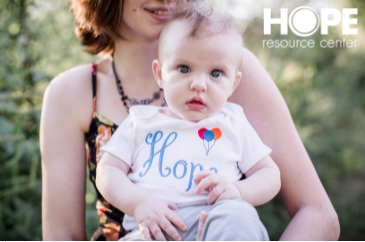 We now have clinics, like HOPE, choosing to expand services to include well-woman care. These additional services will only make us stronger as we seek to serve everyone that comes through our door. We can celebrate today as abortions are slowly and steadily on the decline. I am convinced that this would not be a reality if not for the work of pregnancy centers. We rightly call for legislators, courts, and voters to push for life-affirming policies, but the frontline work found inside pregnancy centers both large and small is what will ultimately guide us into a future void of an abortion epidemic. This type of work is not done in a vacuum. We need partners and are amazed every single day to see thousands make a concerted effort to stand with us through their prayers, time, and gifts. Please know that you are not taken for granted. It is your partnership that allows us to serve and will ultimately allow us to see a day where abortion is a mere footnote in history. This week some of us meet to refresh and recoup, but the doors of our clinics will not close. Somewhere today a young woman will walk into a pregnancy center and be welcomed by a smiling face eager and willing to assist them. This young woman will be loved, valued, and respected as she learns of her pregnancy or even sees her baby for the first time via ultrasound. This is a reality worth celebrating!